My boys - Brooklyn & co.
Anita Sandqvist organized a very nice Open Show event "Piccolo Evento" and we had a big pleasure to have as a judge all the way from Italy, Mr. Stefano Muzzolini, Nerejde whippets. We had a great time, thank you Anita, Stefano, Chiara and all you other friends! At finals Leevi, C.I.B. 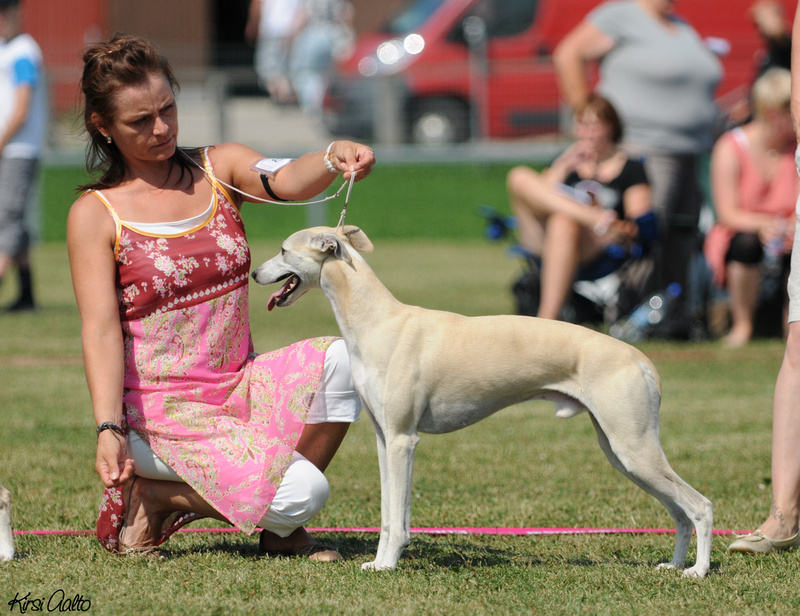 Multi Ch Best-Looking Brooklyn was placed BIS-2, right after his half sister Tuikku! Noah, Spellbound Forgetmenot Santana took 1st place at intermediate class, well done sweet boy! Our little girl Wanda, Tylko Ty Whitingly White Cloud took great 2nd placement in puppy class 5-9 monts. Well done Wanda and Riina! Noah´s son Omar, Gaselle´s Once Upon a Time (Spellbound Forgetmenot Santana x Ch Gaselles´s Greatest Hits) payed a visit as a tourist at the Evento. We managed to take a stacked picture of this lovely boy. 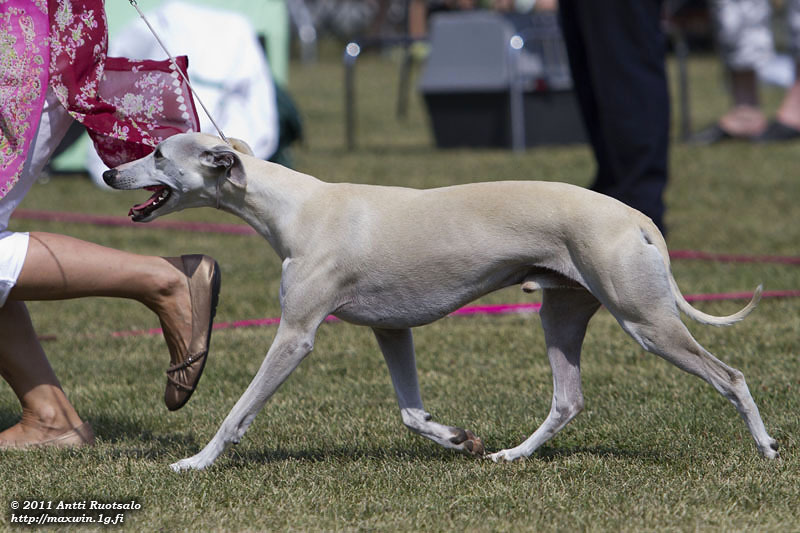 Noah took part at Mustiala Int lure-coursing competition on 21.8. Noah did a very strong and good run in very stong company. His final result was 9th out of 21 dogs, 460 points with CQ!!! Way to go Noah! Me, Anita Sandqvist and Marko paid a visit to Swedish Whippet Club´s National Speciality Show in Vilsta on 21.7.11, and how very interesting and succesful trip we had! 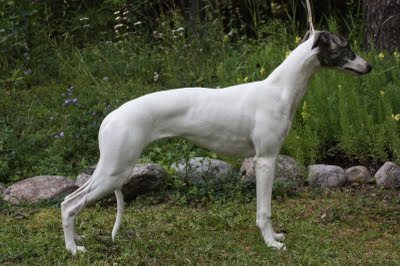 They were 70+ males entered to judge Hanne-Berit Husby (Terra Whisetta), Norway. What a job Leevi C.I.B Multi Ch Best-Looking Brooklyn did, first he won a very strong champion class, later went Best Male-4!!! Kiss for sweet and always happy Leevi! 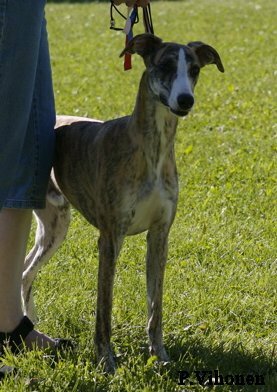 Anita´s boy, Leevi´s daddy, Hupi Ch Twyborn Philadelphia did also great taking exc3 in champion class! 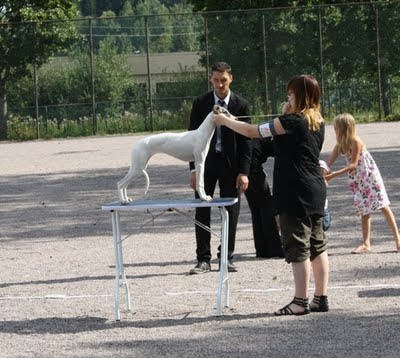 Couple days later back in Helsinki, Finland at Eukanuba Int Summer Show 23.7. 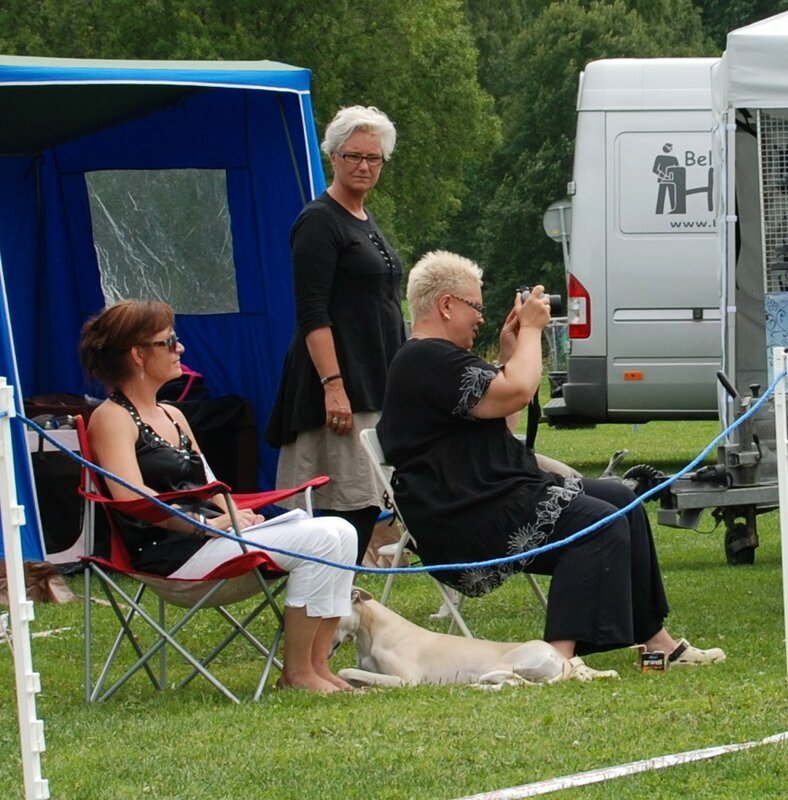 Leevi did great again being Best Male-2 with res-Cacib under Espen Engh (Jet´s) Norway! At Pori Int 30.7. Noah Exc-1 intermediate class. Judge Laurent Heinesche, Luxemburg. Leevi´s son Belltown Force India took great Best Male-2 placement with res-Cac at Tornio Int Show 24.7. Well done Savu and Henna!